A form of GLS existed in South Australia on 31 October 1989. Competency based testing (log book) introduced for learner's permit holders, in addition to existing vehicle on road test. 6 months minimum period on L permit. Two year minimum total period on P licence. Road safety questions included in L permit theory test. Pass mark for theory test raised from 75% to 80%. 50 hours supervised driving for L drivers (inc 10 at night). Introduction of provisional P1 and P2 stages. Introduction of Hazard Perception Test began to progress from P1 to P2. 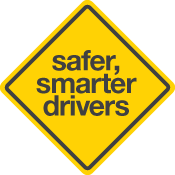 Fast-track options to P2 - Driver Awareness Course or 12m demerit free options. Curfew for disqualified drivers began. Full licence from age 20 if 1+ demerits incurred. Introduction of regression to former licence stage for disqualified learner's permit and P drivers. Includes re-passing any tests associated with previous licence stage. L and P drivers banned from any form of mobile use while driving. Increased minimum time required on a learner's permit from 6 to 12 months for drivers under age 25. Increased minimum supervised driving time for learner's permit holders to 75 hours (including 15 at night). Court required to consider a client's driving record before determining an appeal. Tightening of curfew condition for novice drivers returning from a serious disqualification (no passengers other than a QSD). The offer of a Safer Driver Agreement option for disqualified provisional drivers. Increased maximum speed limit for a learner permit holder, from 80 km/h to 100 km/h, where speed signs permit. A penalty of 2 demerit points instead of licence disqualification for failure to display L and P plates. Provisional (P1 and P2) drivers under 25 years of age restricted from driving high-powered vehicles. P1 provisional licence holders and learner motorcyclists under the age of 25 restricted from driving between midnight and 5am unless accompanied by a qualified supervising driver. P1 provisional licence holders under the age of 25 restricted from carrying more than one passenger aged 16-20 at any time of the day or night (immediate family members exempt) unless accompanied by a qualified supervising driver or meet the exemption criteria. Hazard Perception Test moved earlier in the licensing process, requiring learners permit holders to pass the test to progress to P1 provisional licence (previously the HPT had to be passed to progress from P1 to P2 provisional licence). Provisional licence period extended from two to three years (one year on P1 and two years on P2). Regression to a previous licence stage following a disqualification period removed.